Today, as we approach Easter week with Palm Sunday, we should remember we have been given the seeds of life. 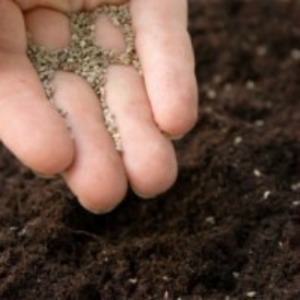 Through the Redemptive work of Christ, seeds for the Kingdom of God have been sown and are growing. And seeds are still being sown through out the World…our hearts and lives are the soil in which Christ has planted the seeds. Although it may take time for the fruit to come forth, with perseverance and trust in Christ it will slowly happen. Our lives are the Lamp stands, and our lives are the Growing Seeds. 🙂 The more we spend with Christ, and the more we obey him through trust, the more people will see him. Just remember that the cares of the world are less than the power of Christ in us and through us, that God is ultimately bigger than all our problems (big or small, short or long term) on Earth. We cannot lose sight that there is a kingdom approaching and all will see the Glory of God revealed…that righteous day is still on the horizon, the day when Christ returns for his Bride, the Church.